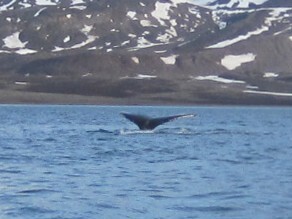 We encountered a humpback whale on the way home. 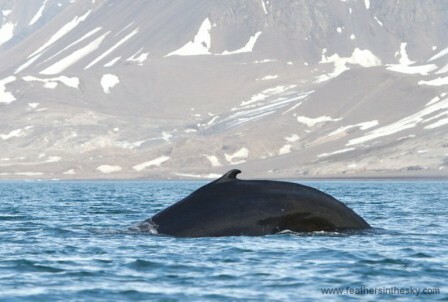 Incredible impressive to see this creature at close distance from a zodiac. He (or she) was feeding. Surfacing, the body bounced on the surface with a long blow. 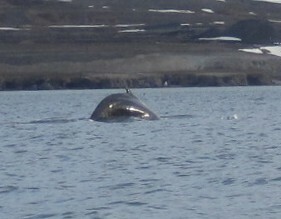 Than there were 4 breathing moments and the whale made a steep dive to the bottom of the fjord again, rising high with its humback and showing the impressive fluke. 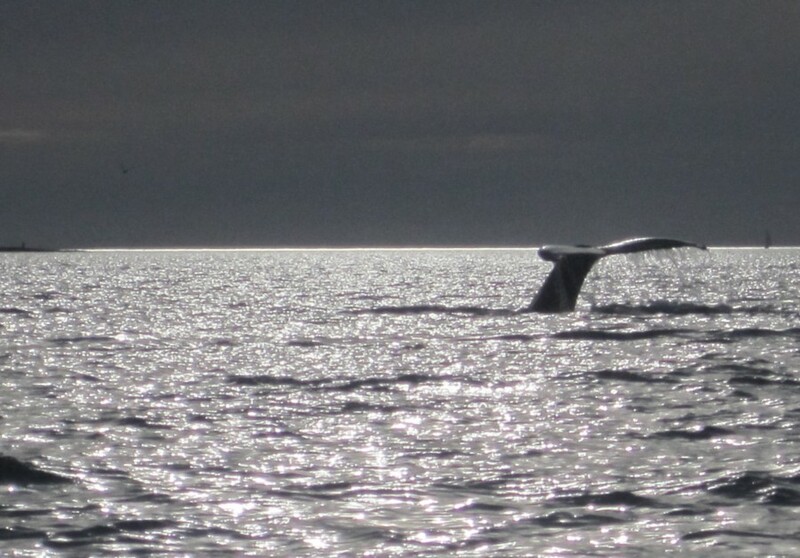 Now wind, no waves and this magical sound of breathing, breath taking. We stopped the engine and drifted along. Returning home we encountered a puffin. What a day. Ramsey Nasr took the video on the left. The sounds tell the story two. 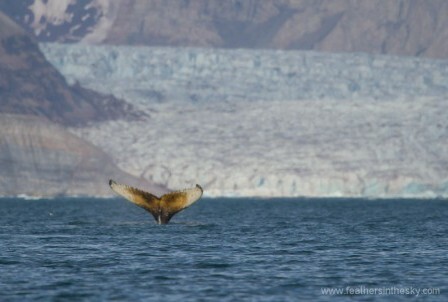 Massive breathing by the whale, a ratling camera at the right moment and a deep sigh by Ramsey Nasr while he lives the moment. This text is surrounded by my own pictures, taken with a small camera. These two pictures are made by Gigi.